MUG006 is a top view of a ceramic mug PSD Mockup looking down with the handle at 0° pointing out to the right side. The mug holds 11oz. 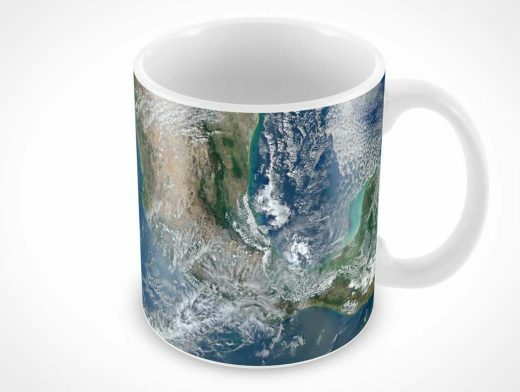 The designer’s artwork is applied to the exterior of the ceramic mug and placed into a newly created Photoshop document where the designer can modify the shadows, highlights, mug colour or replace the background.